KEESLER AIR FORCE BASE, Miss. -- Sunday notes the 25th Anniversary of Operation Desert Storm. U.S. and coalition forces began attacking Iraqi military forces Jan. 17, 1991, to oust them from Kuwait, transitioning operations from Operation Desert Shield to Operation Desert Storm. More than 500,000 American servicemembers deployed to Saudi Arabia in response to Iraq's invasion and annexation of Kuwait in August 1990. Almost 30 aircrew, maintenance and administrative members of the 403rd Wing, then the 403rd Tactical Airlift Wing, deployed in September 1990 in support of Operations Desert Shield and Storm. They flew by military aircraft to the 440th Tactical Airlift Wing in Milwaukee, Wisconsin, and deployed with 400 members from that unit to Saudi to support operations. Most of those wing members are on longer assigned there; however, veterans of the first Gulf War conflict still serve in the wing, although they belonged to other services and Air Force units at that time. In 1990, Senior Master Sgt. Jay Latham, 53rd Weather Reconnaissance Squadron loadmaster, was a 20-year-old Airman 1st Class weather observer assigned to the 3rd Weather Squadron at Tyndall Air Force Base, Florida. He joined the Air Force out of high school in 1988, and in 1ate 1990 volunteered to deploy in support of Operation Desert Shield, leaving in November. He was assigned to King Fahd Air Base, Dharan, Saudi Arabia, and stayed there until May 1991. During Latham's time there, the Air Force flew over 65,000 sorties and destroyed more than 400 Iraqi aircraft, according to an Air Force White Paper, Air Force performance in Desert Storm. Of those, 68 sorties were flown by 403rd members, according to Wing historical archives. 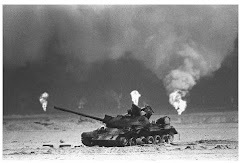 As Desert Storm coalition forces advanced into Kuwait, the Iraqi military forces set fire to hundreds of oil wells as they retreated in January and February 1991. "Oil fires were a huge issue for us since we were so close to the Iraqi border," he said. The fires created huge smoke plumes, polluting the soil and air, creating a haze or overcast type effect. Oil deposit in the air would accumulate on aircraft and tents. Latham said they took weather observations constantly, especially prior to launching F-16 Falcons and A-10 Thunderbolt IIs. "The fires caused havoc on the field, especially for the aircraft, which impacted the maintainers," he said. "It also started deteriorating the tents and impacting the air conditioning." In addition to dealing with the fallout of the oil fires, King Fahd Air Base was in the flight path of the Iraqi scud missiles. "As the Iraqi's would shoot the scuds, we'd see them go overhead on their way to Dammam," said Latham, adding that they were fortunate to have only been hit by a scud once, which landed off the end of the runway and didn't cause any damage. Fellow wing member Staff Sgt. Timothy Pagel, 403rd Maintenance Squadron aerospace propulsion craftsman was a lance corporal in the Marines at the time. He had joined the Marines right out of high school in 1988. He served at several locations during his deployment, but when Desert Storm kicked off in January 1991, he was assigned to an airfield near Kabrit, Saudi Arabia, eight miles from the Kuwaiti border. Stateside, Pagel was assigned to a unit at Cherry Point, North Carolina. He found out he was deploying while on leave during Christmas, 1990, and arrived in Saudi Arabia by the end of December. As a fireman in the Marines, he spent time building up their bunkers and the base, and he worked 12-hour shifts sitting in a running fire truck on the flight line, ready to provide support to AH-1 Cobra, CH-53 Sea Stallion and CH-46 Chinook helicopter aircrews in the event of an emergency. The rotary wing aircraft provided front line support to coalition troops, and the crews landed at that location to have their helicopters refueled and rearmed. The most challenging aspect of his deployment was the "just waiting and not knowing," he said. "We didn't know how bad the ground war was going to be, how long it was going to take ... and when we were going home," he said. 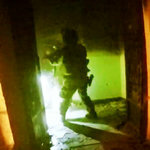 In late January, Pagel and his counterparts were notified one evening about an Iraqi offensive movement near Khafji, a border town between Saudi Arabia and Kuwait. "We were expected to defend our position, so we sat there on that berm ready to take on what came at us," he said. "We heard this huge battalion of tanks coming at us, but they were ours, fortunately." After five weeks of aerial bombing, the ground assault started Feb. 24, 1991. American ground troops declared Kuwait liberated 100 hours after the start of the ground war. There were 383 U.S. casualties; 148 of those occurred during battle, according to the Department of Veterans Affairs. Pagel returned to the states in March. While Latham and Pagel were supporting operations in the desert, Staff Sgt. Ronald Patton, 403rd Operations Support Squadron aircrew flight equipment craftsman, was one of 4,500 sailors assigned to the USS Midway, the flagship for naval air forces in the Persian Gulf and longest serving aircraft carrier in the 20th century, according to the USS Midway Museum website. A petty officer second class, he was a member of VFA-151, stationed at Atsugi, Japan, when his unit was notified they were deploying to the Gulf. They arrived in November 1990. The aircraft carrier transported 60 fighter/attack and support aircraft, and Patton served as a parachute rigger in aviation life support. He worked 12-hour shifts, 7 days a week ensuring that the fighter pilots' personal protective equipment, such as anti-G suits, fliers helmets, oxygen systems, survival vests and ejection style parachutes, were all in working order. "You typically don't see our job unless something goes wrong, so we have to be 100 percent all the time," he said. "If a pilot has to bail out, they must trust that what we've done is right; it's a critical job.'" While the days could be long and monotonous, one event stood out from his time there, said Patton. "We came under attack by two Russian MIGs flown by the Iraqi's and their target was our Battle Group and the USS Midway," he said. "They were fully armed and had every intention on sinking us. We launched two planes in less than two minutes and within nine minutes those Russian MIGs were completely knocked out. The pilots came back in about 20 minutes and landed on the flight deck safe and sound. That gave us a real boost of confidence; we had such confidence in our trained pilots; they did their job well," he said. The USS Midway launched 3,339 combat sorties during Operation Desert Storm, and the Navy launched more than 100 Tomahawk missiles from nine ships in the Mediterranean Sea, the Red Sea and the Persian Gulf, according to the USS Midway Museum website. Operation Desert Storm ended Feb. 27, 1991, and the Midway departed the gulf region March 11, 1991. Latham, Pagel and Patton now serve in the 403rd Wing. Latham left active duty in 1992, went to college, and joined the wing in 1994. He became an Air Reserve Technician in 1996. Pagel left the Marine Corp in 1992 and joined the wing in 2004. He works a field service representative for a civilian aviation contractor in the area. Patton left the Navy in 1992, served in the Army National Guard and Navy Reserve between 1992 and 1996, left military service to become a preacher and overseas missionary, and then joined the wing in 2007. He was recently was hired as an ART. Each one of them said they were honored to be part of Desert Storm operations. Patton said that, to him, being a veteran means many things. "It means being one of many who have given their lives in defense of this nation for a cause that is truly international;" he said. "It means to serve along with some of the greatest men and women in the world. Serving has impacted me because it's helped me to look closer at who I am as an American, what I do, not only to help safeguard our nation, but to reassure our families and members of this country that we really are the freest nation in the world." WASHINGTON -- Hundreds of veterans with terminal brain cancer and their families were close to being fast-tracked toward millions of dollars in government benefits and compensation -- before a White House decision this fall prevented it. The White House denied a recommendation from the Department of Veterans Affairs that would establish a connection between brain cancer and service in the Persian Gulf War, fast-tracking VA benefits and compensation. As it stands, veterans and families have the burden of proving the connection – a process that can take years and require hundreds of pages of military and medical records. Laura Edwards, 54, knows the struggle of trying to obtain VA benefits. After a recent phone conversation with a VA representative, she felt so frazzled she “couldn’t remember my own phone number,” she said. Her husband, retired U.S. Air Force Sgt. 1st Class David Edwards, died at 53 of glioblastoma – a form of brain cancer -- in 2013. In the conversation with the VA that November morning, she had attempted to take another small step in a years-long process to prove her husband’s brain cancer was a result of his service in the Persian Gulf War. 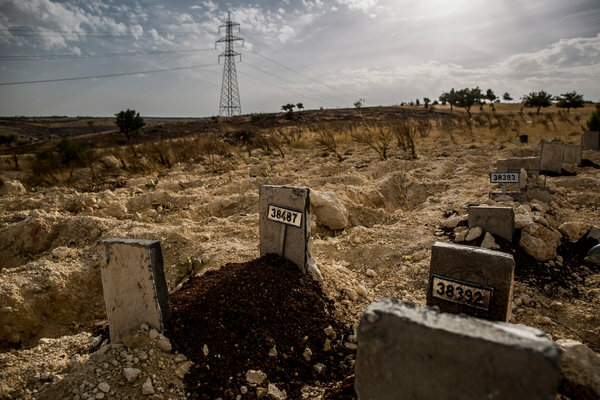 In 2015, the VA established a work group to decide whether there was a clear connection between brain cancer and servicemembers in Southwest Asia in 1990 and 1991, when troops were exposed to hazards such as oil-well fires and nerve agents. David Edwards had worked on generators at U.S. bases in Saudi Arabia with the 323rd Civil Engineering Squadron. Her late husband used to talk about the chemical alarms going off at the bases, Laura Edwards said, and he said their superiors told them the alarms were false. Later, studies would show that in some cases wind carried nerve agents from Khamisiyah in southern Iraq, triggering the alarms. Laura Edwards, now living alone in small Warrensburg, Mo., submitted her first claim to the VA in 2014 but it was quickly denied. According to a copy of that denial letter, she didn’t provide enough supporting evidence. She has struggled, even with help from Brown and a local veterans service officer. In the ongoing effort to make her case, Edwards recently arranged the exchange of about 170 pages of medical records. If the VA determines that Edwards’ death stemmed from his service, Laura Edwards would be eligible for dependency and indemnity compensation. Those payments go to survivors of veterans whose deaths resulted from a service-related injury or disease. Smoke from oil fires set by Saddam Hussein's troops in Kuwait during Operation Desert Storm in February 1991. The current basic monthly payment is set at $1,254.19, or about $15,000 annually. For each child under 18, $310.71 is added to the payment. Brown, a Gulf War veteran, served with three men in the 1st Battalion, 504th Infantry Regiment, who were later diagnosed with brain cancer, he said. As president of the National Gulf War Resource Center, he’s heard from spouses, including Edwards, asking for help to qualify for compensation. Brown said he was optimistic this summer, when the VA work group stated that soldiers who served near Khamisiyah were at a higher risk of dying from brain cancer. The group proposed a rule allowing VA employees to automatically presume a connection when faced with a claim for compensation, said Dr. Ralph Erickson, a VA physician who led the effort and a Persian Gulf War veteran. VA Secretary Bob McDonald backed the group’s recommendation. But when it was sent to the executive branch for final approval, the VA was told there wasn’t enough evidence, Erickson said. Before a federal regulation such as this one is established, it has to go through the president’s Office of Management and Budget. The office did not respond to requests for comment. The work group estimated that if the fast-track process were approved, about 400 veterans or their families would seek treatment and compensation within the first year, Erickson said. Brown, who has worked closely with Erickson throughout the process, said the cost to the government for first year was about $14 million. In comparison, the VA adopted a fast-track process in October for veterans who served at Camp Lejeune, N.C., when the base drinking water was contaminated. According to a VA analysis, the cost to the VA will be $379.8 million in the first year and more than $2.2 billion total over the next five years. The group’s full findings, with detailed cost estimates of a fast-track policy, were put into a report that is going through peer review, Erickson said. He said it would likely be published in the next few months. Erickson reiterated that the cost would not have played into a decision to deny the recommendation. “The reason this didn’t make it to completion was the science itself was insufficient,” he said. But it’s unclear how – or when – more evidence can be found. The VA has been studying the connection between brain cancer and Persian Gulf War service for over a decade. 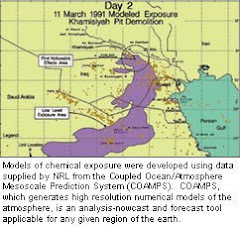 In March 1991, U.S. forces destroyed chemical munitions at Khamisiyah, releasing nerve agents into the air. It’s been reported that servicemembers downwind from the site were at twice the risk of dying from brain cancer than others in the theater. Another study linked exposure to smoke from oil-well fires to a slight increased risk for death from brain cancer. The VA has a 16-member research committee dedicated to illnesses among Persian Gulf War veterans. Just over a year ago, the group voiced concerns about the prevalence of brain cancer. The new analysis built on what’s already been found. After their recent proposal was denied, Erickson and McDonald said the VA would continue to look for enough evidence to get it passed. Erickson he couldn’t provide a timeline for when the fast-track process could be proposed again. McDonald spoke earlier this month about working with the National Academy of Medicine to create another work group. The next issue of the academy’s “Gulf War and Health” report is planned for 2018, McDonald said, with the thought that getting a study into that publication would help boost the evidence. McDonald is unlikely to be at the VA to see the goal through. President Barack Obama appointed McDonald in 2014, and as Obama prepares for his exit, the VA chief will likely be replaced soon with a new leader named by President-elect Donald Trump. In addition to uncertainty because of political change, the science is “limited,” Erickson said. This year marked the 25th anniversary of the end of the Persian Gulf War, and not enough data on environmental hazards were collected at the time of the conflict. A similar situation occurred with Vietnam veterans and the herbicide Agent Orange, which the U.S. used from 1961 to 1971. The health effects to veterans were not fully understood until years later, and more illnesses continue to be linked to the herbicide. It wasn’t until 1991 that the Agent Orange Act put into place a fast-track compensation process such as the one the VA is seeking for Persian Gulf War. The VA and the Department of Defense are attempting to create a system in which data on environmental hazards could be collected and cataloged in real time. 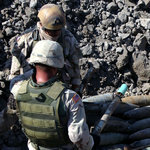 More veterans may have to be diagnosed with brain cancer before more is known about the connection to service in the Persian Gulf War. 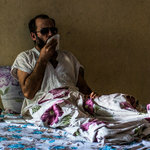 Veterans who served Southwest Asia in 1990 and 1991 are aging into their 50s and 60s – the average age for developing brain cancer. While researchers continue their attempts, families are waiting, said Brown, who speaks with a sense of urgency about the issue. “The families deserve to be taken care of,” he said. Laura Edwards buried her husband on March 30, 2013, which would’ve been their 11th wedding anniversary. She called the VA for the first time one year later, not realizing at first that she was eligible for compensation, she said. She called to tell the agency her suspicions that David Edwards’ death was caused by his military service, in case anyone was keeping track. She wanted an acknowledgement that he died as a result of fighting for his country. Now, two years after that first phone call, Edwards doubts it’s worth it at times. But then, she said, she remembers her husband, whom she described as extremely proud of his military service and hardworking until the end.